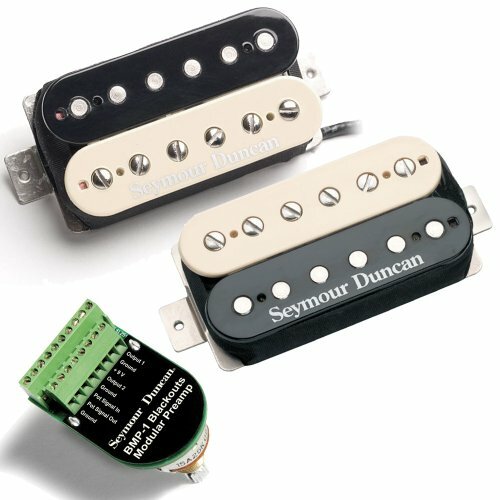 Seymour Duncan STC-3M3 active preamp for Ernie Ball/Music Man® bass guitars with 4 control knobs. On board Tone Circuits for adding tremendous tonal versatility. Enables the player to add to subtract EQ at center frequencies voiced specifically for electric bass. They feature low noise, low distortion and high headroom. Useful for all musical styles and genres. Three bands of active EQ, plus the proprietary Slap Switch. The lows are deep, clear, and tight. The mids range from ultra-smooth to punchy and all points in between. The treble control can produce a very wide, very usable response that is brilliant, yet smooth without any brittleness. Pulling up on the volume knob engages the proprietary Slap Switch, a special EQ contour made just for slap-style playing. See website for frequency response charts.complete setup Use together with Basslines' replacement pickup for Music Man bass. 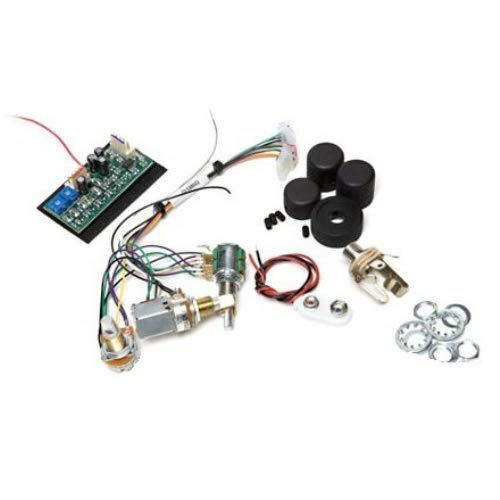 Includes all necessary mounting hardware: high-quality potentiometers on pre-wired harness; battery clip; stereo jack; and black anodized, knurled, dome-style knobs.basses For Music Man® StingRay® basses and other basses with a single passive pickup. 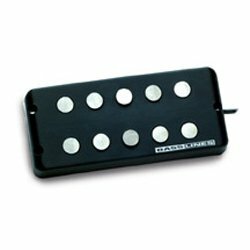 Will not work with 3-coil pickup. Especially great for singer-songwriters and folk strummers, the Woody Series offer a moderate response that gives you plenty of amplification while allowing your guitar to blend nicely with vocals and other instruments. All Woody Series pickups will fit nearly any acoustic guitar's sound hole, with a radius range from 3.85" to 4.10". They're also priced to fit the budgets of most musicians, and are a much more affordable alternative to buying a mic for acoustic amplification. Features: Quick-mount, passive, magnetic sound hole pickup Single coil Moderate output Instant-mount Housed in maple cover and double potted Warm and rich tone with no 60-cycle hum Great for strumming and delicate finger style playing Includes studio-quality 14' cable. 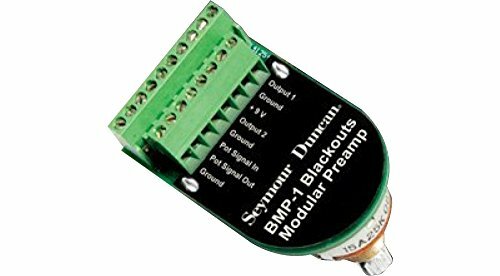 Works with any guitar amplifier (acoustic guitar amp preferred), or plugged directly into P.A. systems or mixing consoles Players Include: Kyle Ellison/Meat Puppets, Jamie Findlay. 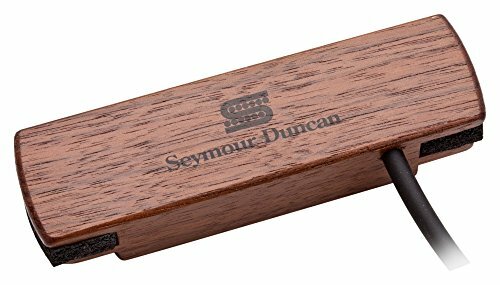 Seymour Duncan's Woody HC SA-3HCWal is the perfect no-fuss solution for instant on-stage amplification of an acoustic guitar. Just pop the SA-3HCWal into the soundhole and you've got a hum-canceling pickup with a stunning black maple cover. 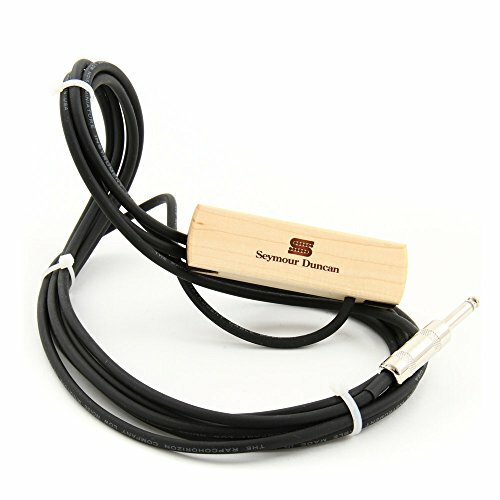 Plug into any acoustic guitar amp, PA, or mixer using the studio-quality 14' cable and start strumming. The Woody HC SA-3HCWal rocks warm, rich tone that's perfect for chords or fingerstyle playing. Get the most from your acoustic with Seymour Duncan's Woody HC SA-3HCWal! By focusing beyond just the tonal characteristics of Palladium, we designed an innovative architecture that captures the full-bodied depth and character previously unattainable in an effects pedal. You can use it with a power amp or a clean guitar amp to create your ultimate high gain signature sound, and replicate your favorite high gain amp tones. Or use it in front of a distorted amp to tighten up the attack for rhythms or to increase sustain and saturation for solos. However you choose to use Palladium, we hope you hear and feel the impact of great tone, body and depth in your unique sound. 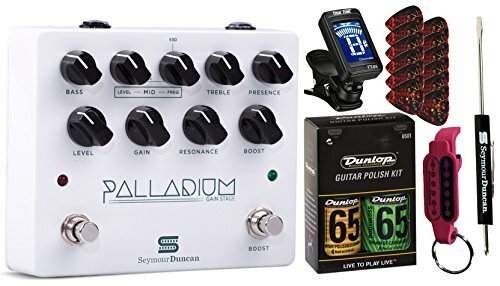 Palladium features three gain stages: a gain stage to control the overall saturation, a resonance control for low frequency gain shaping and a boost control that adds overdrive to the beginning of the signal path. These three gain stages allow for a versatile range of tones, from classic rock at lower settings to modern metal at higher gain settings. The pedal also offers a comprehensive EQ, with bass, treble, presence and sweepable midrange-frequency control, so you can make Palladium sound perfect with any amp. 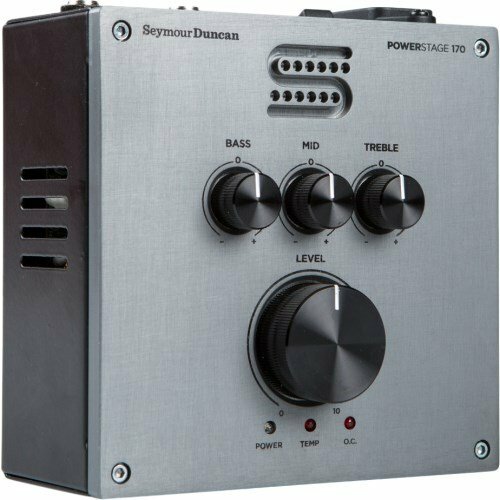 Looking for more Seymour Duncan Bass Preamps similar ideas? Try to explore these searches: Bike Art Print, Soap Squirting Dish Scrub, and Hiking Boots Vs Shoes.